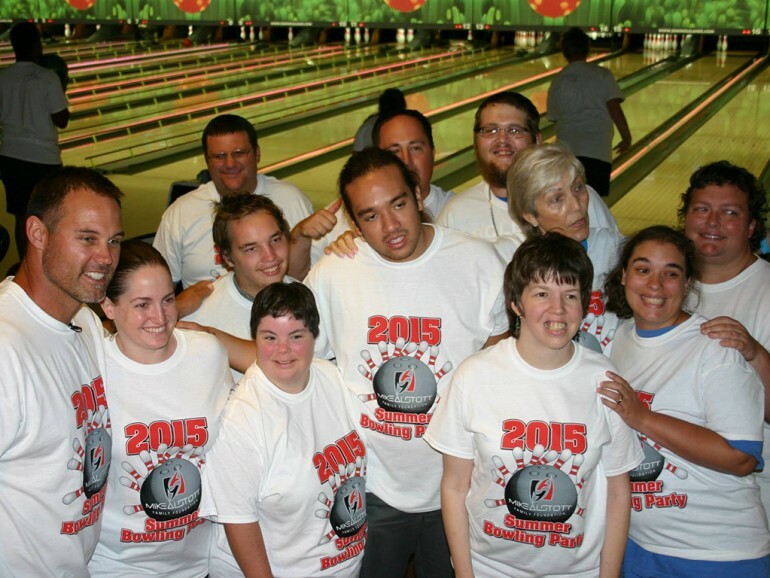 Earlier today, Mike and the Foundation held a summer bowling party for nearly 125 Camp Redbird participants as well as athletes from Special Olympics Pinellas County at Seminole Lanes. The guests enjoyed bowling, lunch provided by Texas Roadhouse, a recognition ceremony, and ice cream treats. Each participant also received a Mike Alstott Family Foundation event t-shirt and custom participation medal. Mike spent time visiting will all of the participants, signed autographs, and took photos with all involved.